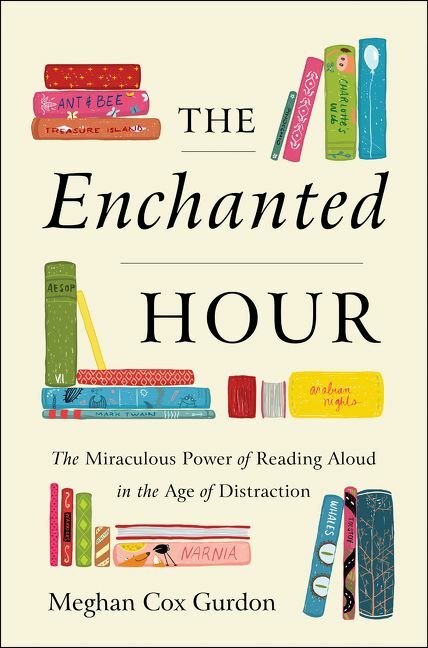 Meghan Cox Gurdon is an internationally-known children’s book critic and the author of The Enchanted Hour: The Miraculous Power of Reading Aloud in the Age of Distraction. Her influential weekly column in the Wall Street Journal, which began running in 2005, reaches more than 2 million readers every week. A mother of five, Gurdon is a sophisticated, eloquent and joyful advocate for reading aloud and the social, emotional, cultural, and literary pleasures and benefits that it offers. She’s truly an enthusiast and has been reading aloud every evening since the first of her five children arrived 24 years ago and she not only refuses to stop, but she also hopes to persuade you to do the same! After 9/11, having had four children in three different countries, Gurdon and her husband decided to relocate one last time, to Washington DC, where they welcomed their fifth child a few short weeks after she began writing her column for the Wall Street Journal. A sought after and dynamic speaker, Gurdon not only deftly explains the research behind reading aloud and its positive effects on the brain, but she also demonstrates the magic that happens when words leave the page. Captivating audiences with excerpts from both classic children’s books and literary fiction to demonstrate the emotional range invoked by reading aloud, she leaves her audiences enamored and inspired. From libraries and historical societies to schools and book clubs, Gurdon has spoken across the country to audiences of all sizes. A perfect advocate for reading aloud and its ability to transcend age and background, she is an ideal speaker for universities, parenting groups and senior communities. "Meghan was engaging, intelligent, a bit provocative, and very likable. Many attendees said they wish they could chat with her over coffee. Folks were very grateful for her ideas and her presentation was excellent. She was very accessible to attendees' questions and open to their ideas and enthusiasm, which was considerable thanks to her presentation." "Meghan speaks with warmth, joy, and love for the written word and storytelling. She inspires all readers—avid and reluctant, young and old—to pick up a book and, more importantly, experience it with someone else. 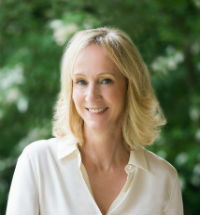 I cannot recommend her enough as a speaker, as well as an advocate for the power of human connection through reading aloud." "We hosted Meghan for a talk and book signing on The Enchanted Hour. What a delightful speaker – and what an important topic. I heard her speak several years ago on this topic, and she is just as I remembered her - fabulous. She is also a delight to work with, friendly and engaging with all attendees who were eager to purchase the book and have her sign it."